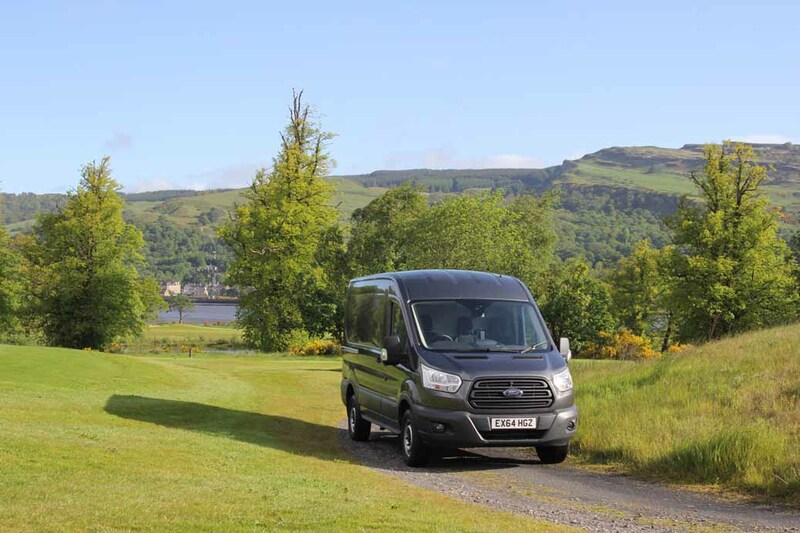 Another day, another van, this time it’s the latest from Ford, the Transit AWD. This is the latest model to join the ever expanding line-up. Modern production methods and production lines staffed by intelligent robots means that van manufacturers can ring the changes much more quickly and cost-efficiently than they could in the past. Hence this bewildering array of new metal we’re seeing right across the commercial vehicle industry. 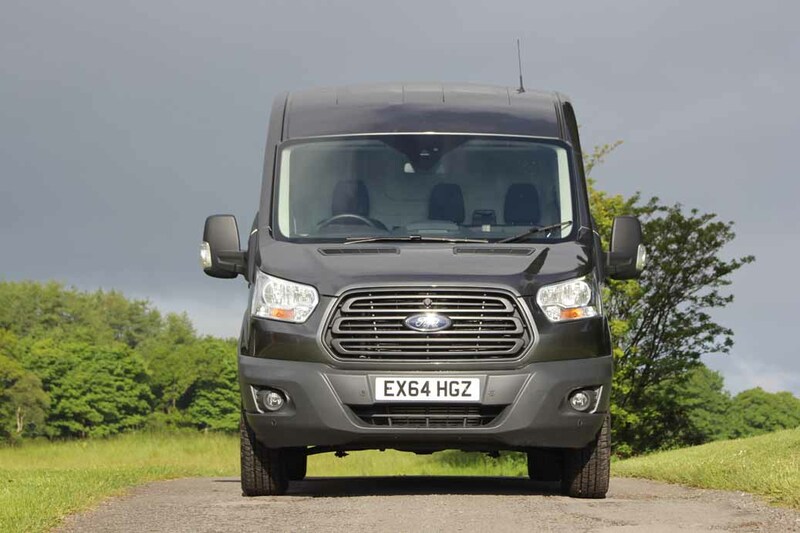 In fact if you count the bodystyles and sizes, engines and transmissions, trims and finishes, the final count of Transit derivatives is not hundreds. It’s thousands! Not intended to compete with Land Rovers and Landcruisers, this new four wheel drive Transit will nevertheless go where normal vans fear to tread. Think of it as front wheel drive with a rear axle and a prop shaft, plus some fancy electronics to ensure that the beast keeps moving even when the human element has given up hope. A single press of the button on the dashboard activates the system with no need for secondary gear levers or diff locks. Even numpties need not fear muddy or snowy conditions, the electronics will take care of all that. Apparently the demand for 4x4 vans has never been higher, so all van manufacturers are at it. That’s down to the severe winters we had a couple of years back and employers ‘Duty of Care’ to their van drivers. Also there is an increased demand from the utilities sector who need to get staff and kit to and from wind farm sites and mid-moorland electricity pylons, not to mention the growing need for welfare vans for those who work outdoors. However, their need is our gain. In a couple of years time we’ll be able to buy service barges at a knock-down price that can go anywhere – especially handy for those rallyists who are inextricably drawn to the deep and meaningful attraction of forestry ditches.